Medical students and residents must also develop competence in the interpersonal and communication skills needed to counsel patients about behavior change and to perform motivational interviewing. ... They must learn to work in interprofessional teams with dietitians and other skilled health professionals to help patients make needed dietary changes. ... Just as medical students and residents must be taught to become antismoking advocates, they need to be taught how to advocate for healthier food environments as part of their role as future physician-citizens. The USDA Food Pyramid, circa 1990. Every five years beginning in 1980, the U.S. Department of Agriculture (USDA) and the Department of Health and Human Services (HHS) have jointly issued the Dietary Guidelines for Americans, which serve not only to help citizens make healthy dietary choices but also to guide federal programs that support school lunches and supplemental nutrition assistance for low-income individuals and families. However, a recent analysis suggested that adhering to recommendations of the 2010 Dietary Guidelines to consume more potassium, dietary fiber, vitamin D, and calcium would add hundreds of dollars to an average person's annual food budget; potassium alone would add $380. In contrast, increasing intakes of saturated fat and added sugar are associated with lower food costs. Current (2010) U.S. Dietary Guidelines. On one hand, with obesity-related health costs rapidly rising, the federal government has encouraged people to make healthy dietary choices through efforts such as Let's Move! 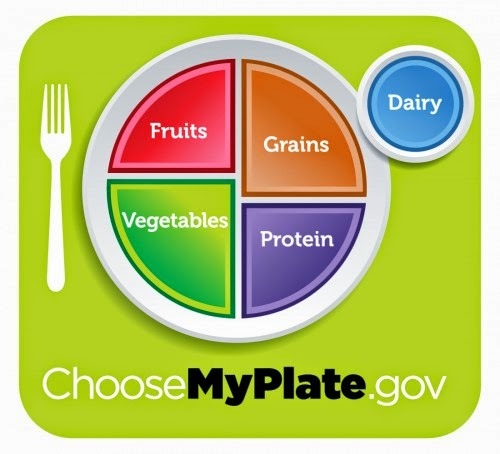 and MyPlate. On the other hand, the federal government spends billions of dollars on traditional agricultural commodity programs that fail to reinforce the kind of healthy dietary choices outlined in federal dietary guidelines. Providing greater access to nutritious food options at affordable prices doesn't mean that people will purchase them, but is a necessary first step in realizing the potential of nutrition policy to reduce obesity and improve population health. This post first appeared on The Health Policy Exchange. I am writing to ask that you consider attending or send a colleague to the 2014 Direct Primary Care National Summit. As you may know, the Family Medicine Education Consortium played the role of “first follower” of the Direct Primary Care movement. We took this position because we believe that the current RVU-driven fee for service system is crushing Family Medicine and primary care. The DPC approach is one of the best strategies for “unchaining” the vision and passion of Family Medicine. We have learned that the Direct Primary Care model will be one of the models to be endorsed by the seven Family Medicine organizations in the Future of Family Medicine 2.0 report (Family Medicine for America’s Health). While this is a very positive step for Family Medicine, I am very concerned about the response that will accompany the report’s roll out. 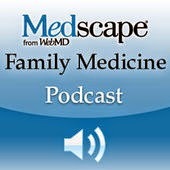 Many current Family Medicine leaders have a negative bias against the DPC model. They hear DPC and they think "concierge." Those leaders who believe that only through integrated systems can there be real improvement in health outcomes also see DPC as a threat. I have been told by FP leaders that DPC is “the enemy” of real reform. This is not a minor issue. I would say the vast majority of FPs I talk to about DPC have had one or the other of these responses. After some reflection I came to this. Many of our current senior and mid-career leaders hit a wall in the 90s during the last periods of change. As young FPs they thought the managed care era was finally going to lead to real change. They also thought all the hoopla over the PCMH would lead to real change. They feel burned and will dampen and perhaps even blunt the potential for change at this time. This is a serious issue and needs to be addressed in a substantive way now. I have a recommendation. When we held the first DPC Summit last October, I sat in the audience and listened to the innovators share their stories about how they had built practices that served their patients and communities. I heard them speak of their joy in practicing medicine. The students and residents in the room heard the same thing and it lit a passion in their minds. Speaker after speaker served as powerful role models. In fact, the entire event was full of speakers and participants who exuded hope for the future. · Students who attend the Summit will return to their schools and become ambassadors for Family Medicine/primary care. · Residents who attend the Summit will return to their programs and revitalize the hope for the future of practice as a Family Physician. They will even turn around the negative perceptions held by many faculty. · Faculty members (FP or behavioral) who attend the Summit will feel validated and hopeful for the future. · Health system leaders (either from a hospital/ACO based or FQHC environment) who attend the Summit will see that DPC is one of the best strategies to improve the health of the population and their organization’s bottom lines. Please help us to use the DPC Summit 2014 to build a community of solution that will support the roll out of Family Medicine for America’s Health. Encourage your colleagues to come to the DPC Summit 2014. Be as vocal as possible. Also consider sponsoring student/resident scholarships to the meeting. Primary Care Progress has publicly sponsored $2000.00 in scholarships. They attended the first Summit and know the positive impact attendance has had on students and residents. We created a discounted rate for students and residents and also created a one day rate for them. We want them to attend in large numbers. They will become ambassadors of hope. It is going to take more than a report issued in the fall to energize the Family Medicine movement. Please use the DPC Summit 2014 to start building momentum now. Last week, the subtitle of a JAMA editorial on accountable care caught my attention: "the paradox of primary care physician leadership." The authors observed that although a typical family physician's or general internist's patient panel accounts for about $10 million in annual health care spending (of which only $500,000 is primary care revenue), primary care physicians have been "underused" as role players in health system reform. They further suggested that claiming leadership positions in accountable care organizations could be "a powerful opportunity [for family physicians] to retain their autonomy and make a positive difference for their patients - as well as their practices' bottom lines." Family physicians are personal doctors for people of all ages and health conditions. They are a reliable first contact for health concerns and directly address most health care needs. Through enduring partnerships, family physicians help patients prevent, understand, and manage illness, navigate the health system and set health goals. Family physicians and their staff adapt their care to the unique needs of their patients and communities. They use data to monitor and manage their patient population, and use best science to prioritize services most likely to benefit health. They are ideal leaders of health care systems and partners for public health. The role of the US family physician is to provide episodic outpatient care in 15-minute blocks with coincidental continuity and a reducing scope of care. The family physician surrenders care coordination to care management functions divorced from practices, and works in small, ill-defined teams whose members have little training and few in-depth relationships with the physician and patients. The family physician serves as the agent of a larger system whose role is to feed patients to subspecialty services and hospital beds. The family physician is not responsible for patient panel management, community health, or collaboration with public health. Are tomorrow's family physicians prepared to be leaders instead of followers? A research study published in Family Medicine explored relationships between specialty plans and clinical decision making in a national survey of 4,656 senior medical students. Students were asked to choose between management options in patient vignettes that exemplified principles of health reform: evidence-based care, cost-conscious care, and patient-centered care. 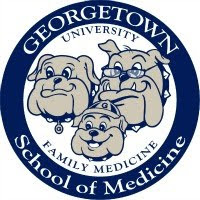 Compared to all others, students entering family medicine were statistically more likely to recommend generic over brand-name medications and favor initial lifestyle change counseling to starting medication for a mild chronic condition. Future family physicians were also more likely to prefer U.S. Preventive Services Task Force recommendations on preventive care to those from disease-oriented or patient advocacy groups, although this finding was not statistically significant. A few years ago, I blogged about varying definitions of "actual" causes of death, which include disease-specific causes (the top five in the U.S. being heart disease, cancer, chronic lower respiratory diseases, stroke, and unintentional injuries); behavioral causes (tobacco, poor diet/physical inactivity, alcohol, infectious agents, environmental toxins); or socioeconomic determinants (low education, racial segregation, low social support, poverty, income inequality). Prevention-minded clinicians and policymakers understand that reducing premature deaths from diseases requires addressing unhealthy behaviors and social problems that influence them. The majority of these risk factors do not occur randomly in populations; they are closely aligned with the social, demographic, environmental, economic, and geographic attributes of the neighborhoods in which people live and work. However, the calculation of potentially preventable deaths in this study did not account for differences in the attributes of states that might influence risk factors and ultimately death rates, such as proportion of the population below the poverty level. If health disparities were eliminated, as is called for by Healthy People 2020, all states should be closer to achieving the lowest possible death rates for the five leading causes of death. For those of you who prefer visuals to data crunching, here is a neat infographic put together by the company Zweena Health. The only part that I disagree with is their assertion that "routine medical visits can save lives." Not that it isn't true (I wouldn't still be practicing medicine if I didn't think I save lives now and then), but routine social work visits and public policies that spur economic growth, reduce unemployment, and increase access to decent, affordable housing make a much bigger difference in health outcomes than do medical preventive services. As a long distance runner on my high school track team, I won few accolades in individual events, but shone in relays. My teammates and I spent hours perfecting our baton exchanges, which must occur within a limited area of the track, until these handoffs felt smooth and effortless. In contrast, world class athletes focused on individual performances are often assigned to relay teams at the last minute, a practice that led to stunning disqualifications for dropped batons of both the U.S. men's and women's 4 X 100 meter relay teams at the Beijing Summer Olympics. Although some programs reduced 30-day rehospitalization rates, a systematic review found that no single intervention is reliably helpful, and successful readmission reduction programs generally occur only in single institutions.However, it seems that programs that focus on the whole patient rather than a specific diagnosis are more successful in reducing readmissions. This concept is in keeping with the focus of primary care physicians. To solve the challenge of care transitions, the primary care physician should have a prominent role at three times: at admission, immediately after discharge, and at the postdischarge follow-up visit. Research on improving inpatient handoffs has evaluated the varying effectiveness of electronic handoff tools, standardized communication training, verbal mnemonics, structural changes, and "handoff bundles" that include one or more interventions. Several residency programs at my institution recently found that an electronic template for graduating residents to hand off their "high risk" outpatients to other clinicians did not improve handoff quality or clinician satisfaction compared with free-text handoff notes. What other kinds of tools can be used to assure uninterrupted transitions of patient care from hospital to home, between clinicians in inpatient and outpatient settings, or between primary care physicians and subspecialists? I've had many Twitter conversations with cancer screening advocates who fear that the U.S. Preventive Services Task Force's "D" (don't do it) recommendation against PSA-based screening for prostate cancer will lead to a dramatic spike in prostate cancer deaths as primary care physicians screen more selectively, or perhaps stop screening at all. I seriously doubt these apocalyptic forecasts (for one thing, prostate cancer causes only 3% of deaths in men, and the decline in the U.S. prostate cancer mortality rate since 1990 hasn't had any appreciable effect on overall life expectancy). However, I recognize that reasonable people disagree with my review and the USPSTF's interpretation of the evidence. The American Cancer Society, for example, continues to support screening if men are adequately informed of the known risks and uncertain benefits. But it's one thing to argue from evidence, and quite another to argue from ignorance. Many of the tweets I've seen from urologists, unfortunately, represent the latter. 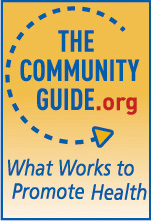 This post originally appeared on Common Sense Family Doctor on December 12, 2012.